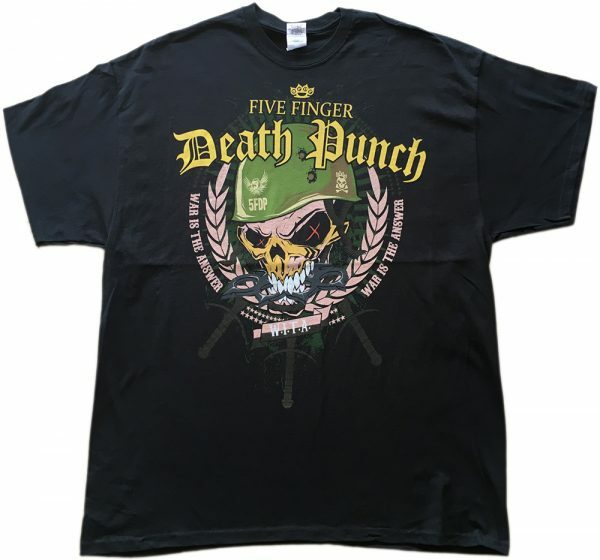 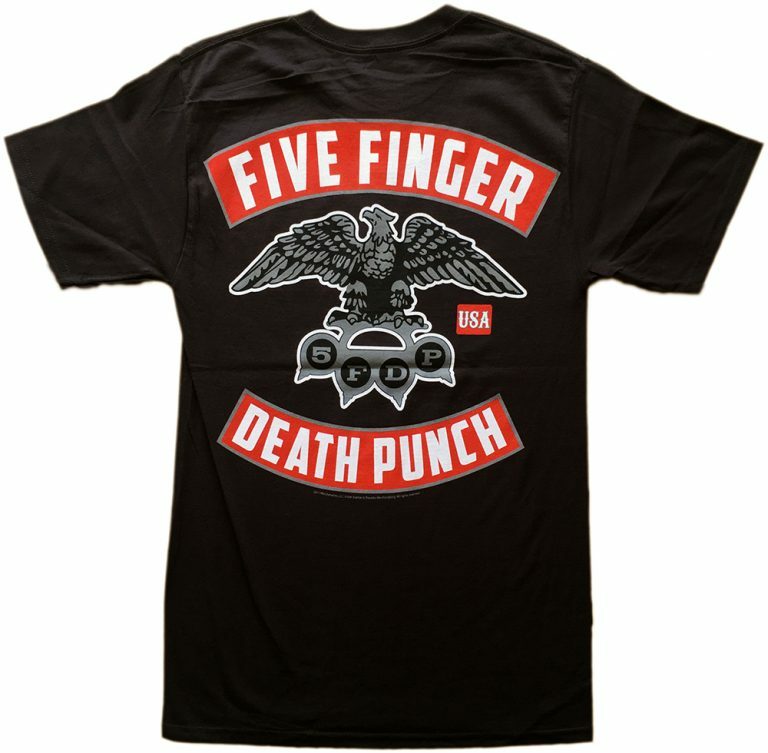 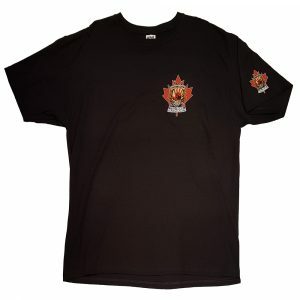 Black t-shirt with red & white “5FDP L.A.” logo and titles on front; red & white band titles on back. 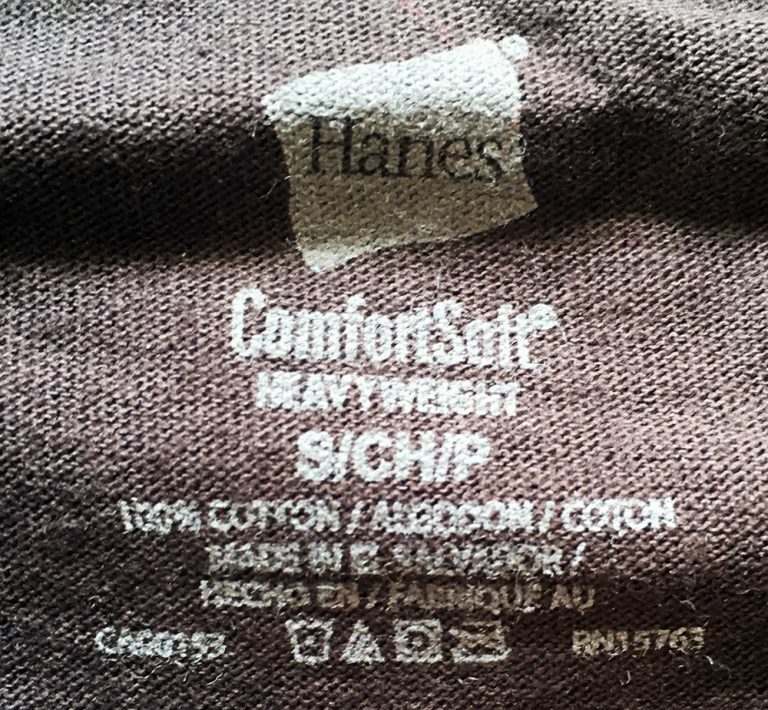 Printed on a licensed Hanes brand t-shirt. 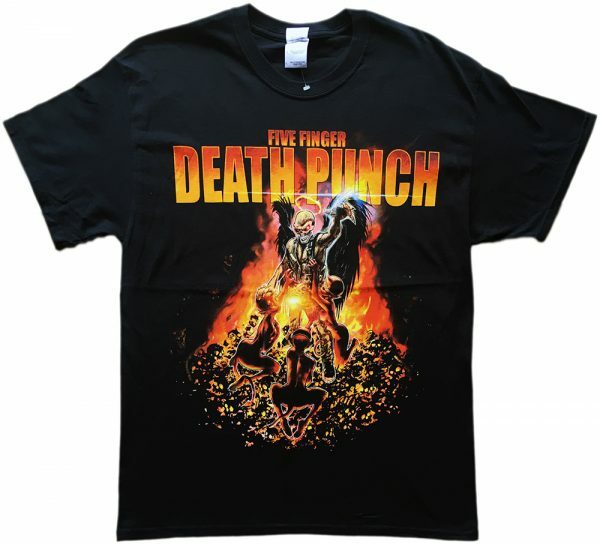 Size available: S (small) only.